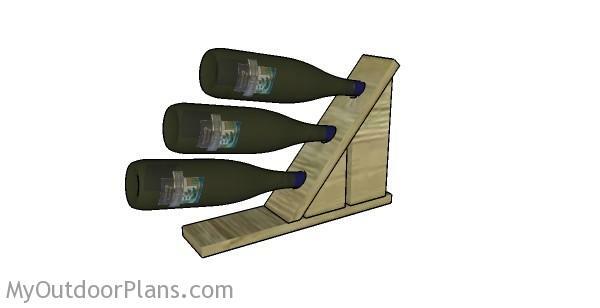 This step by step diy woodworking project is about diy pallet wine rack plans. The project features instructions for building a rustic wine rack. If you want to build a conversation piece you should take a look over this project. This wine rack could also be a great gift idea. Make adjustments to the design and overall dimensions if you want to get a customized project. The first step of the project is to build the base for the wine rack. 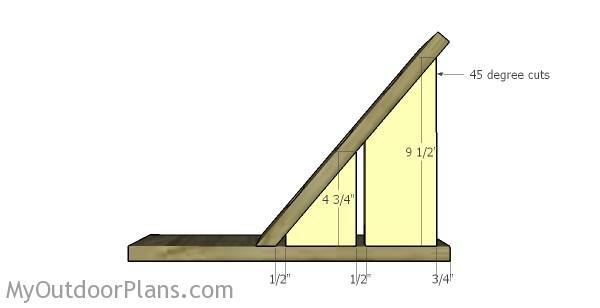 Therefore, cut a piece of 1×4 lumber at 16″ or at any other size that suits your needs. Next, you need to make the actual wine rack. 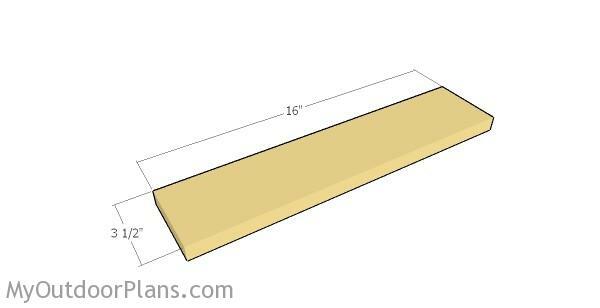 Cut a piece of 1×4 lumber at 14″ and make a 45 degree bevel cut to the base edge. Afterwards, use a 1 1/2″ hole saw drill bit to make the supports for the wine bottles. Use 120-220 grit sandpaper to smooth the edges and remove the excess with a damp cloth. 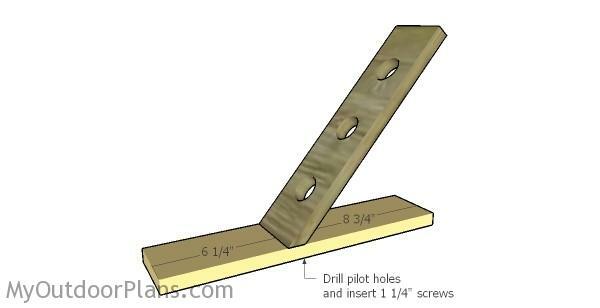 Drill pilot holes through the base of the rack and insert 1 1/4″ screws into the diagonal support. Add glue to the joint for a better bond between the components. In order to add rigidity to the wine rack, you should fit 1×4 supports under the diagonal component. 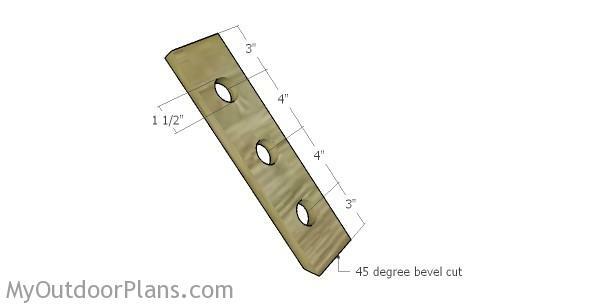 Cut the top of the slats at 45 degree and fit them into place, as shown in the diagram. 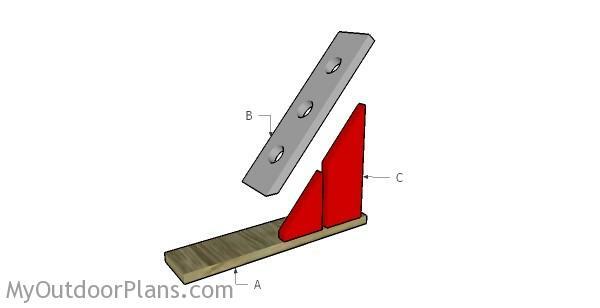 Use 1 1/4″ finishing nails to secure the supports into place. Fill the holes and dents with wood putty and let it dry out for several hours. Use 120-200 grit sandpaper to smooth the surface. Remember that you can adjust the design of the rack to suit your needs.